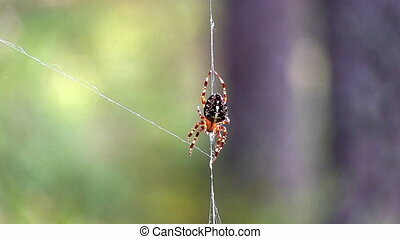 Spider on web. 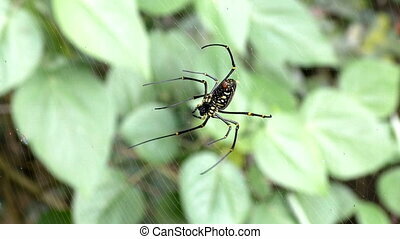 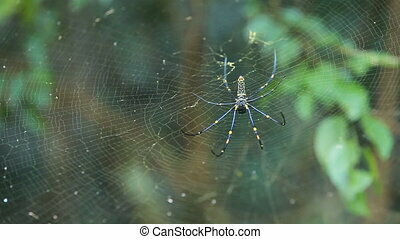 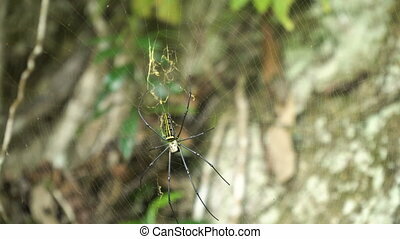 Large tropical spider,nephila (golden orb) in the web. 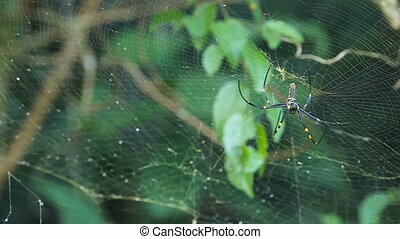 golden silk orb weaving spider waiting on her web. 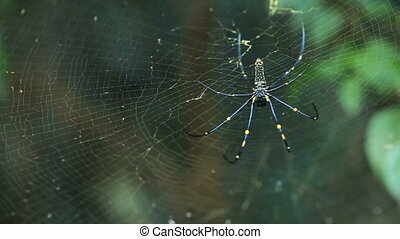 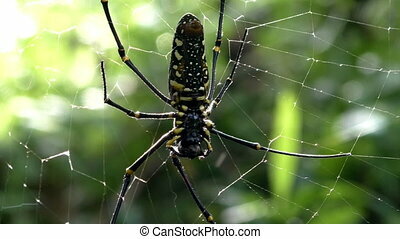 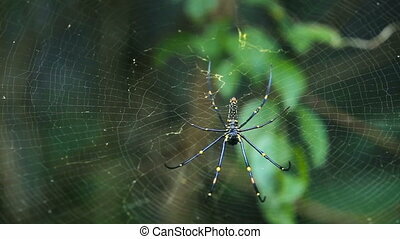 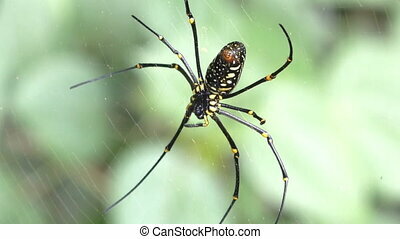 nephila pilipes. 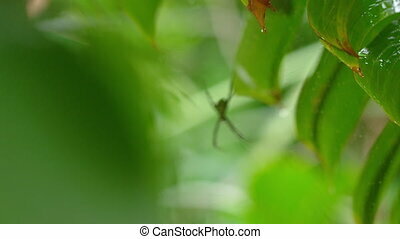 4k video, philippines. 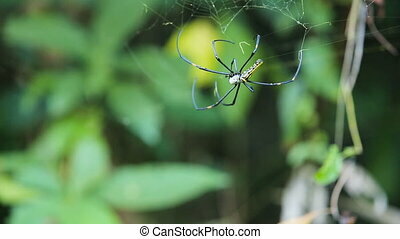 Large tropical spider,nephila (golden orb) in the web. 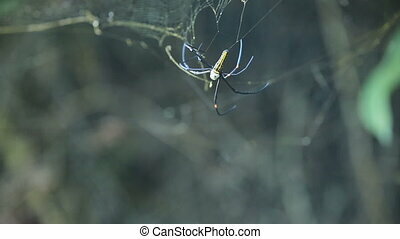 Golden SIlk Orb Weaving Spider waiting on her web. 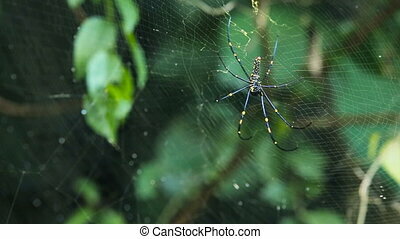 Nephila pilipes. 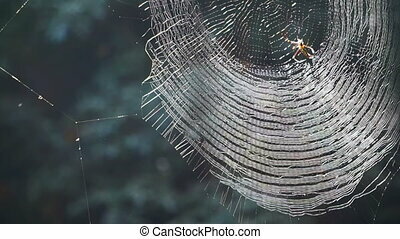 4K video, Philippines. 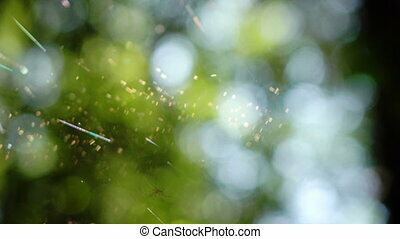 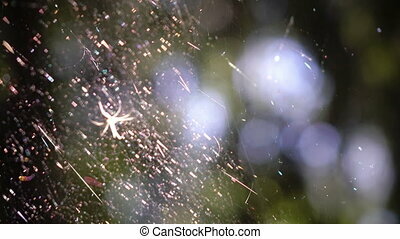 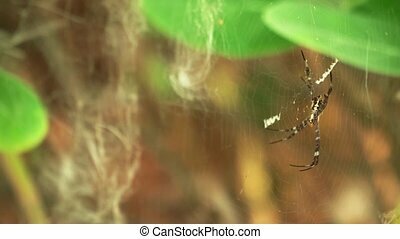 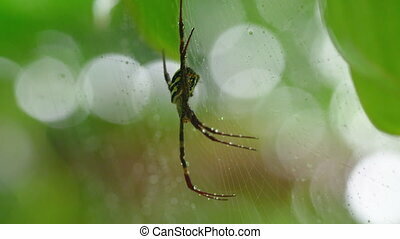 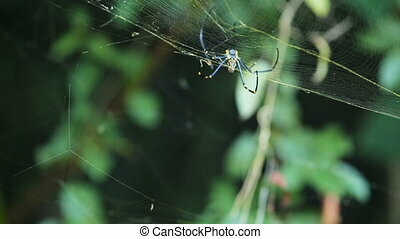 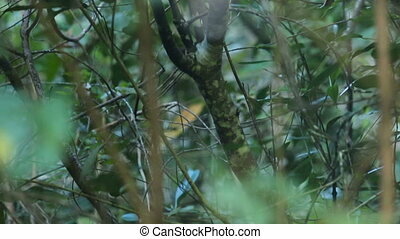 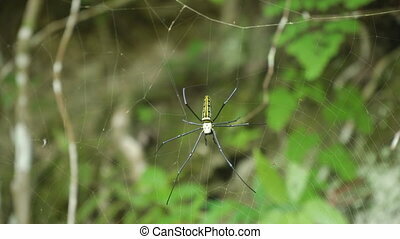 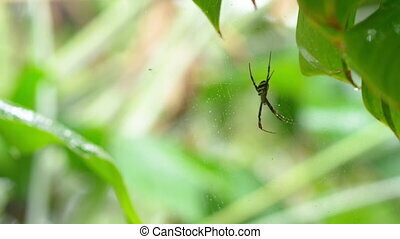 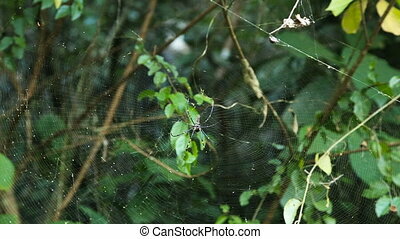 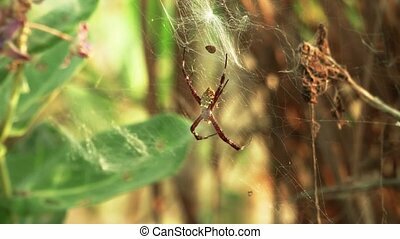 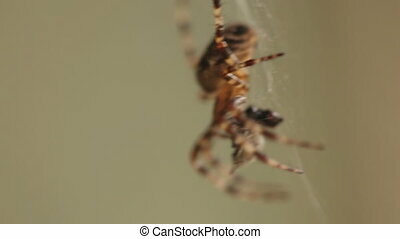 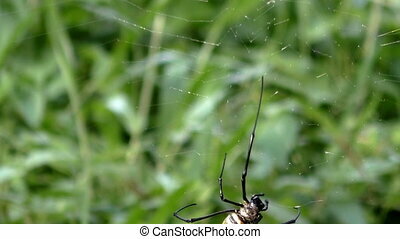 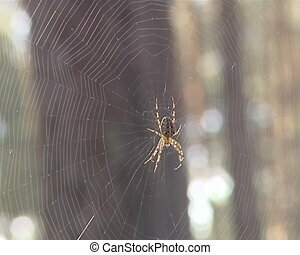 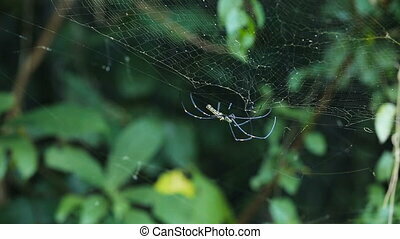 close up video spider on web in tropical forest. 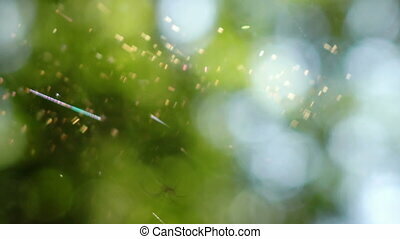 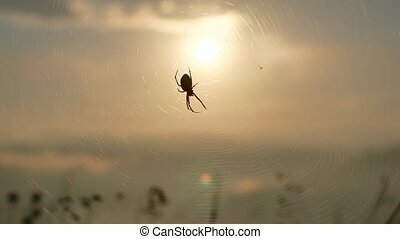 Spider on web in bright sunshine out of focus.